I've published three novels with an independent press. The third book even won a legitimate mystery award. Yet I'm struggling to find a literary agent for two completed manuscripts. I've queried over 250 agents & had some close calls (some on-the-fence responses, which are often more frustrating than regular rejections) but at the end of the day, I can't land an agent. I don't think going back to "fix" the manuscripts is the solution. I've nitpicked them to death already. 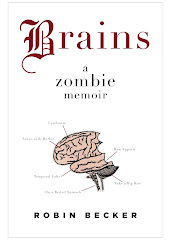 I've been considering mailing a copy of my award-winning book to the 300 or so literary agents on my list. Chances are they will probably just throw it in the trash. But I keep thinking - what if one of them reads it & realizes this is literary genius? Of course she would sign me. The practical side of me tells me this is a bad idea. But I'm running out of hope. Can you tell me why this is a bad idea? Well, it's not the worst idea I've ever heard about how to snag an agent's interest. My first concern is simply cost. The cost of the book and the cost of postage is going to set you back a couple hundred dollars easily. 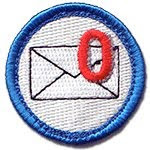 Querying by email is free. That said you've already said your querying isn't getting you where you want to be. Rather than send unsolicited books to agents, why not use that money to pay for some face time at a writing conference? Find out what's wrong. It could be as simple as your books simply aren't plotlines/settings/categories that are selling right now. Or it could be that the market is glutted with this kind of book. The way to get face time with an agent is to find a conference with attending agents that you'd query. In other words, agents working in your category. Sign up for a pitch session. I reviewed queries at three conferences this summer: MidWest Writers, ThrillerFest, and Writers Police Academy. In all three places, it took only two or three revisions to help a writer get a better query. If you're willing to listen to some hard truths, you'll be able to learn a lot. It's not easy to hear some of this, and your (anyone's!) first reaction is to say "balderdash" but most of us will tell you the truth if you ask us to. And you're not carrying a box of ripe tomatoes. If you do elect to send the books, PLEASE include a neatly hand written, or typed note telling me why you're sending it. Include your contact information. Do NOT just put a sticky on the cover saying "hope you like this." Assume I do like it, how the hell do I find you? And be forewarned: I am an unrepentant book snob. If the cover is ugly, or the book's interior is badly laid out, I won't read it. Life is too short for ugly books. Even prize-wining ones. Also: you're trying to get attention for your NEW book/s, not the old book. You need to focus on why your querying for the new stuff isn't getting you what you want, rather than seeking attention for a previous book.I may love the prize winning book, but that doesn't tell you much about whether I'll love the new one. And if you elect to follow my advice, I'll be at CrimeBake this year. ...most of us will tell you the truth if you ask us to. And you're not carrying a box of ripe tomatoes. I feel for you, OP. Discouraging, to say the least. Take heart in the fact that you are not alone. Except that means you are one of many...which brings us right back to how-the-hell-do-I-get-noticed discouraged. But up and at'em. Conferences = networking (and fun) so line them up, pick the ones that are feasible to attend, and go. 2016 is my year to attend at least one, hopefully two. I'll need to decide which fairly soon because the good ones fill up fast. I'm looking forward to hearing from Reiders about Boucheron. Quick question for QOTKU. Do you have a schedule of what conferences you will be attending in 2016? Hate to kvetch so early, but: The first things I wanted to know about CrimeBake were When and Where. Took several clicks to find out When, and a half dozen plus some squinting to find out Where. It's a common problem with New Media. Sometimes I can't find out who wrote an article, or when. An interesting dilemma, and great advice, once again. It just goes to show, even with an award-winning book, there are no guarantees that's enough to get an agent. Writing a great novel is number one, as Janet so often says. But then the agent has to love it and be able to sell it. Of course, if you already have an audience for your work, Opie, why not continue with the indie press? Agents and editors often mistakenly pass on novels believing there to be no market for them. If your work is selling well, that might be the case here, in which case going traditional may not be of benefit to you. Just a thought. If I carry Gossamer, I bet that'd work better than the tomatoes. One of the things I've found that is hardest about letting a novel go is that there are so many temptations to revive the effort. Janet, is it right or wrong that I so want to bring my query to the James River Writers conference and do just this? I feel like I KNOW that Ax just isn't sellable and why (#WeNeedDiverseBooks ...), but it is so hard not to try. I love that this question is basically "Can you tell me why this is a bad idea?" It's more self-awareness than some of us can muster some days, but it's a wise perspective from which to proceed. Diane: I know you asked Janet, but my feeling is: why not? What have you got to lose? You clearly have a passion for AX (why else are you even asking the question), and that passion is bound to come across as you talk to agents. The worse that can happen is they say "No", which you're already used to (unfortunately). But I wouldn't be surprised if some are willing to give it a try. Be Tenacious! Agree with Colin, and also like Diane's perspective. A friend of mine offered the following analogy--it's like we're all wearing gigantic red cowboy hats. We can see the hats on others, but sometimes have trouble being aware of our own. Opie does not have this problem. Bookmarking this post. It shows that even when you do everything "right," things don't happen exactly the way you plan. Yet another example of how there is no set formula to publication. It's more about rolling with the punches. A writer's conference is a terrific idea. I have been to two and even if my exile to Carkoon is lifted and I land an agent, I will go to others I hope. The networking alone is worth it. Also, even if you go independent as Colin suggested, you will find a lot of support at a conference. There are all sorts of industry professionals who attend these things, and you can get new insights to the industry that will better guide you on how to proceed. Good luck, OP. I feel for you. :P "The worse that can happen is they say "No", which you're already used to (unfortunately)." I'm not super precious about my writing, but hell if I don't think it's GOOD. But unfortunately that is a distinct thing from its being product, and sellable. In a way, I just want some imaginary authority to say to me, "Yes, you're right, the problem isn't your work, it's that you invested it in a problematic subject." But in response to these feelings, I read some of the WIP out loud, I think of a new theme to look into, I try mostly to face forward because looking back makes me motion sick. >>I've published three novels with an independent press. The third book even won a legitimate mystery award. Yet I'm struggling to find a literary agent for two completed manuscripts. I've queried over 250 agents & had some close calls (some on-the-fence responses, which are often more frustrating than regular rejections) but at the end of the day, I can't land an agent. This tells me your query is getting requests for partials/fulls, but your manuscript isn't getting any response. >>I don't think going back to "fix" the manuscripts is the solution. I've nitpicked them to death already. Have you tried hiring an independent editor? Not just for line editing but for overall story concept, etc? Or attend a conference and bring the first chapter of one of your new manuscripts. At pitch sessions, instead of asking for help on your query [if that's working and you're getting requests], ask the agents to eyeball the first page and give you their thoughts. An agent eyeballed my first five pages and she gave me her take on it. Awesome information, trust me. >>I've been considering mailing a copy of my award-winning book to the 300 or so literary agents on my list. Chances are they will probably just throw it in the trash. But I keep thinking - what if one of them reads it & realizes this is literary genius? Of course she would sign me. Are your three already-published books still under contract with the indie press? If you have full rights, why not put the first one up on Amazon for free? Self-pubbed folks in my local RWA group who do this, say it really helps in generating sales of their later books. Be sure your award-winning book [that is NOT free] mentions the award in the Amazon blurb. If you get good sales for your current books, you might catch some interest. It does sound frustrating. I wish you good luck. Your problem is the harried query. Turn the "Nope!" To hope. I feel this pain, I really do--I think we all do. While I wish I could go to conferences to network and soak up the wisdom there, it'll be a while before that even becomes a possibility. So, I'm faced with querying the traditional way and clinging to hope that something comes from that. But then again, I've only just begun querying, so I can only imagine OP's frustrations. At this point, you begin to wonder what the problem is--is it the query, is it the manuscript, is it the market? There seems to have been some legitimate interest if there were close calls, so there's something there, and it sounds like they have a solid manuscript they're happy with. The question becomes, how do you fix a problem when you don't know what the problem is? That's a rabbit hole if there ever was one. Man, if writers weren't already a little crazy, querying would send us right to the asylum. Female Filipino pirate hunter hired as a PI for the Coast Guard to investigate the human slave trade thru New York harbor discovers massive international corporate plot by a cartel of chocolate companies. Rattle off ten of these, pick your favorit, and start writing. That would be my advice. Diane, had I known using unmentionable reaction as an example earlier this week would cause you the hives (hee) I wouldn't have used it. Either way, it is true that you aren't alone in this particular predicament. The GOOD news for you is that you're still asking questions about what to do, still looking for answers on what could be wrong, and that means you haven't given up. I've always loved this old/possibly overused saying, but it really does mean something; you can win if you don't play. Who the hell put that "n" is ms? This was the most important part of Janet's post for me (aside from not carrying a box of tomatoes in her presence.) We all know authors who may have written a wonderful first, second or even third book, winning awards, and then for whatever reason, something happens and their writing changes. And not for the better. And new things stop selling well or don't really sell at all. A wise mentor oft quoted the old saying, "one shouldn't rest on their laurels," and I think that's so true. What do you do if Janet loves the old book and asks for the new and then, can't stand it. You're not only out the money for the book plus shipping, you've wasted so much time that could have been spent on making your query shine and then, finding out why you're not getting responses. And the way to do that is again, as QOTKU says, find a conference, book a session and take the query. A good agent wants to see you succeed. Ultimately, it puts money in their pocket as much as yours. DAMMIT. Who left the "t" out of "can't?!??" One of the great things about this forum is the chance to brainstorm and analyze and STRATEGIZE our own approaches to the goals we share. Not just a supportive community (except for Colin and Donna, of course), but a nice and a *smart* bunch of people. It's a great brainmeatspace. Seriously, though, if you believe in your work, then don't give up on it completely. Yes, move on. Yes, devote your energy to your WiP. But if you see an opportunity for AX, why not grab it? Just because it's on the back-burner, that doesn't mean you can't move it to the front if an agent asks "What else have you written?" OT: 2½ weeks of R&R and what do I find when I come back? A population explosion of newbies on Carkoon. All caves have now been filled and it's beginning to look like Times Square. New high-rises are being built to accommodate everyone. My suggestion would be to send Donnaeve and Colin (they need a break) to Amy's Paradise to see why she's all alone over there. Or may I suggest to the QOTKU to use leniency in some cases? I'll shut up now. LOL! Exactly Colin, we'll ALL need a decoder ring to read it. But now, I'm wondering...is Diane saying we're not supportive? Or we're not supportive OR smart? OFF TOPIC: Actually, Colin, back to your comment about missing "t's" and missing "n's," have you ever taken that test that purposefully uses numbers to write sentences? Or there might be one too that leaves letters out...it has something to do with the brain automatically recognizing and filling in the needed info. Donna: I think Diane needs some of your excess n's to show how truly supportive we are. As for smart, well, I can't speak for you, but for me, that's a lost cause. Yes I have seen those tests that substitute numbers for letters, or drop all the vowels, and you have to figure out the message. It's amazing how incredibly flexible and creative the human brain is to be able to decode those things without much effort. Donnaeve - Gotta watch out for gremelkinss that ad and subrtactt lettterss. Is anyone else out there trying to muster the courage to send their query to The Shark? I had an teacher who paraphrased an old proverb, "It is better to be thought a fool than to open your mouth and remove all doubt." Colin - I'll even give her some "t's" too. And maybe a tease. S.D. King - "spoken" like a true writer. Or furry woodland critter. Take your pick. Good advice once again: look forward, not back. Heading off to a conference this weekend (huzzah!) and meeting with my mentor to work on my graphic novel, and hopefully get help with my eventual query. It's worth a shot. Just read all Janet's query advice, follow Fine Print's guidelines, maybe hit Donnaeve up for synopsis guidance as she wrote one and liked it, and send. Nothing ventured, nothing gained. Having Janet as an agent would be a dream. You may as well try. She is great for guidance even if she does cast you down into fields of kale. Oh, do not put any evil librarians in your story. Maybe that was what happened with the OP? I think Rob Ceres has the right of it. Your query works because you have agents reading you work. It is possible that your subject matter lacks color. Perhaps they are too literary and lack that commercial zing. Keep querying and start to write something else. Find a wild idea and run with it. Do not dwell on your award winning work at all. It would be easy to slip into a has been mode that blew their load of ideas in a small market. Color a new subject brightly and watch it shine. Criminy, no, don't send books to agents. Have you looked at pictures of their offices? Most of them are surrounded by books. Client books, arcs, books people give them, books people want them to read, books that breed in the night. They could build castles out of books and never run out of building materials. It's like trying to get Paris Hilton's attention by sending her a tube of pink lipstick. It better be pretty dazzling lipstick. If you haven't found a good writing group, do that now. Be prepared. You'll need to sort through several to find ones who fit you and your style. Just because someone doesn't read your genre doesn't mean they can't give you good feedback. My latest beta reader was lost through parts of Far Rider because he doesn't read fantasy at all. Nada. He still gave me some valuable feedback. You also need to be ready to reciprocate. Writer's Digest has some webinars that are pretty good if you can't make it to a conference right now, but from the amount of money you would spend mailing books, you could probably afford a conference. I don't mind bribing agents, but I'd rather have them in my evil clutches first. S.D., I believe Mizz Reid eschews the rotten tomatoes herself, so what is the worst that can happen? If you fear the query needs work still: WORK ON IT. Heck, send it to the QS and see what she says. If you think it's ready: query. The fool proverb is all very well, but stick with Donna's advice: you cannot win if you don't play the game. E.M., that's pretty exciting. Good luck! Yes, I'm going to send my query to the shark. I just need to tune it up some before I do. It's like my mother cleaning house before the housekeeper gets there. Obviously, it's not a genre Janet reps, but I need a query doctor. Julie, criminy? Lol! This blog makes me laugh so much. 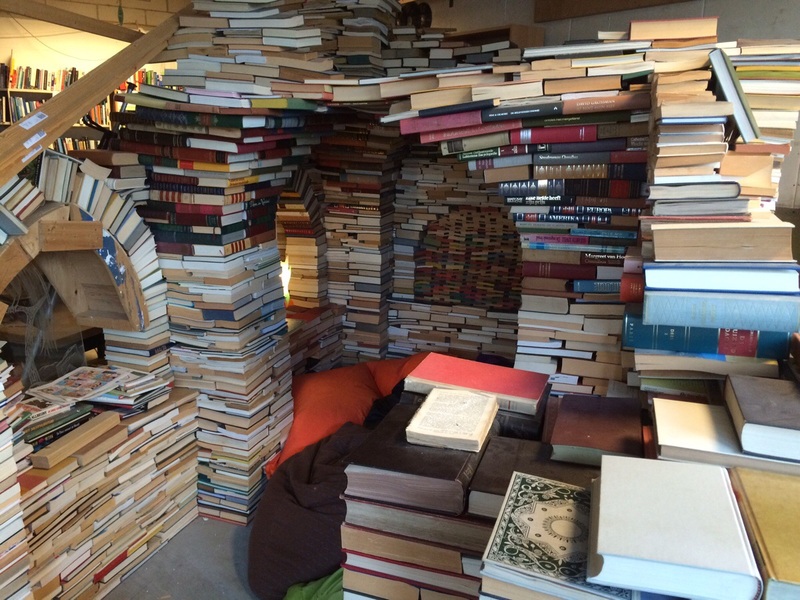 And I would totally build a castle out of books. That is, unfortunately, not permitted in Carkoon. But OP, Julie, Susan, Rob, Lynn and those of us not doing time in Carkoon have the right of it. Your past books won't get you what you want for your new book except as publishing credits in the bio section of your query. And you won't go wrong following Janet's guidance. I would follow Janet's guidance like a lemming, but for the second day in a row I'm confused. I get Think Forward. Rock solid. But if you have something in your past that will make someone stop and take notice (when you otherwise would have slipped through the giant cracks of agent world), why not use it to move forward. Here's my thought. Do a test. Pick 10 agents, give them your book idea. Send your award-winning book. Hey Agent, wanna see more where this came from? We're in luck! I have the next one waiting for you. The downside is a no response and you're out the cost (which would get astronomical doing this 300 times). The upside is you land an agent. In any case, when January rolls around and you create your resolutions, you have an answer on whether the test is working. On a side note, this was a painful post to read. Someone with an award-winning published book is struggling to land an agent. This is a giant ocean and the fishing is back-breaking even for writers with good bait. John: The thing to remember is writers WITHOUT award-winning books, indeed, without ANY pub credit, land agents too. The award-winning book gives you confidence you can write well, and gives the agent confidence you can write well, but it doesn't guarantee the agent will sign you. For that, you have to be sellable. That's why, according to her own testimony, Janet passes up many well-written submissions every year: she has no idea how to sell them, and knows she's the wrong agent for those projects. Okay Donna/Donnaeve, maybe I'll go visit Amy. Or perhaps Colin can take both of you? A good reminder, Colin, and you're right. But man, Opie's frustration oozed out of every line of that post. I'd say 40% of the full request rejections can be chalked up to lick/timing. Perhaps you wrote the next best space thriller but Janet just signed a gal in that genre... Not much you can do there. Or perhaps the agent just had a bad experience subbing a work with a main character named Pete and your Pete reminds her of the character that didn't sell. There's tons of fair reasons an agent can say no one day when they would have said yes a year ago or a year later. But there are some trends I have noticed that are worth a mention. Pace is a huge one. If I'm honest, I've got a short attention span. I need a hook by the end of page one and I need to feel like I'll die if I put the book down by page 30. The second, and this is one no one ever told me, is strength of plot. A strong plot with fantastic writing that waxes and wanes between garbage and gold has a FAR better shot at winning me over. I feel like no one really talks about this much but it's true. Most readers (perhaps Janet excluded) have a larger threshold for tolerating the level of writing (as long as it wows initially and looks golden here and there) than they do for struggling through a poorly thatched plot. If you're getting fulls and near misses, and you're considering one more editing hoorah before you burn the book in an old furnace, my best advice is focus on plot. What do I have to buy into to keep reading my book. What conflict is better than the one I have. I'm currently revising with this in mind and it's truly a skeletal issue. My murder mystery lacks compelling enough circumstances for the murder. My hook isn't hooky enough. I assume my readers are trusting I can stick the landing when I haven't given them strong enough reasons to believe it. My plot makes assumptions. None of this can stand if I want an agent. I was all ready to send Penelope the pup with a query to manage that lick thing, Brian. Captain BS - who's Dutchess? Of course I tried to tell myself it was my code name so I could be in your list of smart people...I tried dropping the "t" and adding "n's" and came away with Duchenn. Not. Quite. Donna. Diane - HEEEEEEEEEEEEEEEEEEE! Where do I hit LIKE on the lick comment? It's much easier to mention in the query letter you are the author of award winning ONCE A KNIGHT IS ENOUGH. If they're interested, and they will be because they want to see if you're yanking their chain, they'll go to Amazon and look it up and maybe read a few pages of it. If the writing holds up, congratulations, your foot's in the door. Now pique their interest with a great new book. For all you men out there, the New Yuk Times has posted a helpful list of dos and don't about being a modern man. Yes, I yukked it up. Further proof I was born in the wrong century. Show me and my Mountain Dew out the door. It's a great mixer with everclear. So I hear. What the hell is a Kenneth Cole oxford? Yes, that's the first thing I ask a prospective mate, "Do you have a melon baller? If you do, what do you use it for?" If you're using it to scoop out interesting designs in some nefarious project, you're forgiven. If you are obsessed with keeping your wife's phone charged, but don't care if your own phone runs down, I hope you break down and have to walk ten miles. signed, an old fashioned woman who has no sympathy for modern morons. I only use the fresh tomatoes from my garden for BLTs. Are these okay or do you have a fear of flying BLTs? Julie, I haven't read the article yet, but I just wanted to say I have no idea how I raised a son who likes to shop for clothes and a daughter who has worn mostly flip flops and the same hairstyle since High School. And I tell you all that b/c The Son proudly wore Kenneth Cole shoes to Thanksgiving Dinner last year. After I read the article, I might have to send it to him - depends on what it says. Yep, I got a rejection from the shark herself a few weeks ago. That was my "oh, crap, this query really isn't working" moment. So, I pushed myself to revise it (oh, the torment, the anguish--I'm pretty sure I have a concussion from banging my head against the desk so many times) and ended up with something much more compelling. The only thing we can do is try...and keep trying. Susan, I want cake. How do I get out of Carkoon? And no one tells you how gassy kale makes you. OMG, you do not want to stand down wind from anyone here after lunch! *Sigh*- onward. Rejection is no fun, but all you need is 1 yes. Then the all the rejections we endure are just hurdles and learning experiences to propel us forward. #28 - The modern man doesn't grade his performance. He already wins when he enters the game. Back in the club! I'll drink my Mountain Dew to that. Oh, and slap me for not mentioning: ONCE A KNIGHT IS ENOUGH! I'm laughing too hard to type. I already had enough M/M erotica yesterday to take me through last Tuesday, but I bet I could laugh all afternoon at your titles. I've actually decided that if I query widely this time and don't receive any interest, I'm going to self-publish again. If it were any other book, I would be willing to trunk it and move on to the next, but my reasons for considering self-publishing this book are similar to my first book: agents may not think there's a market for it, plus, the subject matter is rife with controversy in the medical field. On the surface, it's a story. But to me, it's also an ode to patients fighting a horrible disease, and I want that voice to be heard, no matter how softly it speaks. That decision has actually lifted a huge weight from my shoulders. I'm still hoping for that one yes, but it's okay if this book doesn't do it. Susan, sounds like you have a solid plan. If the book I am currently peddling flames out, I will have to put that on me. There is an absolutely gigantic market for fantasy, but that means there is a glutton of competition. If my work doesn't stand out, well that is on me. E.M.: Keep at it, don't let it discourage you! There may be a large market with lots of competition, but what it's missing is your voice and your story, and that's what matters. You think I mean to actually query Janet? Do I look crazy to you? And I write Middle Grade, so she doesn't rep that. 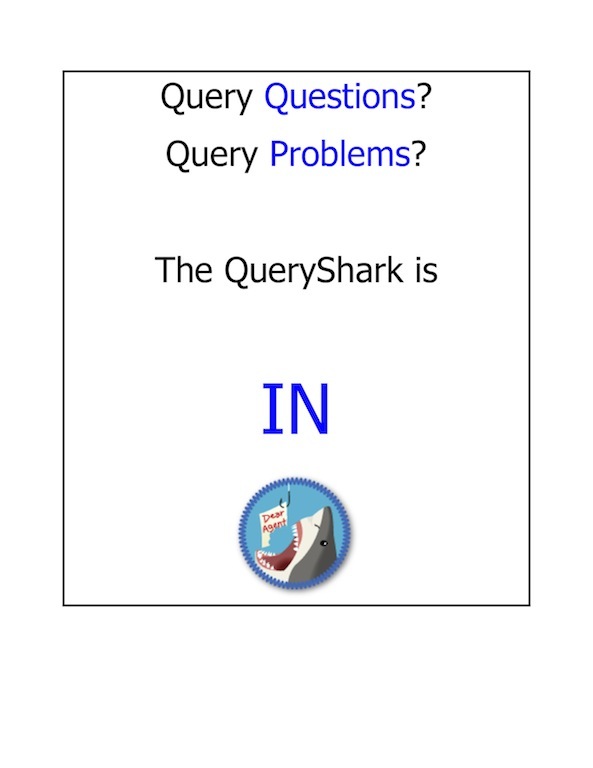 I mean I can't muster the courage to let the shark shred up my query on the Query Shark site. Actually, can handle hearing that I can't write, but to hear that my story idea is bad...well I am a bit attached to it. You know, I am a mother of three now-adult children. I can face criticism (including a bushel basket of tomatoes) with the best of them. At my age, it is easier than facing the mirror. S.D.King, Let your pseudonym muster up the courage to send a query to the Query Shark. Anything wrong with your query is a direct result of pseudonym's input. All the good stuff -- that credit goes straight to SD King. This writing gig can be easy when you let it. S.D. : Janet says she doesn't rep MG, but she also says she would sooner people query her than not query her, regardless of genre/category. 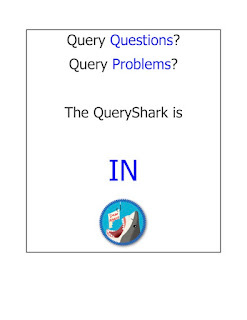 However, if you want query help, why not go with QueryShark? Ripping into your query wouldn't mean you're a bad writer. I'm sure she gets terrible queries from excellent writers all the time. That's why she asks for the first five pages with every query. I don't think she has ever told someone on QS "That's a terrible idea for a story! Scrap it and start over with something new!" She seems more inclined to help make your existing story better. Regarding bribing agents - you'd probably do better with alcohol than even an award-winning book. Although you mention it won a 'legitimate mystery award'... which would put it right in Janet's baileywick. P.S. : Donna, he might not be referring to me, as I haven't posted yet. Or maybe my brilliance is so bright it defies the flow of time. Ask me about gravitational lensing later. What do you hope to accomplish by sending your award-winning novel to agents? What is your one main aim? I don't know. Chances are the agents wouldn't know either unless you told them. Assuming you know. You might not. But if you do, there may be better, less expensive, more effective ways of accomplishing this. 1. You want to prove you can write. If this is the case, your current ms for which you are seeking representation should accomplish that. 2. You want to prove you can write award-winning books. If so, you don't need to send them the whole book. A simple line in the housekeeping of your query letter (My third novel from SuperDuper Press won the Highly Prestigious Award for Best New Fiction.) will suffice. Figure out what you want to prove by sending your published, award-winning novel. Then find a better way of communicating that info. You want to hear my ultimate advice? Probably not, but you're gonna hear it anyway. Write a third novel and query that. If that tanks and doesn't get you an agent, time to take a hard look at your craft. If you can't woo someone with your prose, there's a very good chance the error lies with your prose. Not the books themselves, but how you write them. I don't know how many eyes have helped you with your current two mss, but if it's only yours, I suspect you may have some errors that you simply can't see. Happens to all of us. Now that I think about it, I suspect this idea might have occurred to you too, thus your burning desire to send out your award-winning book. You want to indulge in more rejectomancy? Consider this: how many sales has your award-winning book brought in? How many reviews do you have, how many Amazon stars, how many Goodreads stars, etc. Does the public at large love it? Sales and stars rarely lie. Agents are looking for stuff that Editors want the public to buy in droves. The one thing that hooks an agent is Voice 'n' Style. Agents can sniff it a mile away. They can pick up on it in a query letter, and they definitely know it in the first few pages. If your voice 'n' style aren't as good as they could be, this could be why you're not getting any nibbles. 1. Do I get any full requests from my query letter? If no, problem lies with query letter. If yes, problem lies with ms.
2. If your fulls got rejected, what did the agent say? They often give you a clue as to why it didn't work for them. If you want to spend money in the hopes of improving your chances of getting an agent, forget about posting your novel and consider getting a reputable freelance editor to go over your ms. If you've honestly "nitpicked them to death" with your best resources, definitely time to put this under professional eyes. You need an editorial letter. I wish you luck, because on this Query Train, sometimes that's all we have left. Crimebake is closed to submissions, by the way. That is, they're all full up. You can get your name on the wait list though. I was just perusing the weekend's events. Wow! That'll be the place to be November 6-8. EM, "Cakecoon", Carkoon's award winning bakery is open for business. Their specialty is kalecake and lima bean curd. This pretty much seals the deal for me - writers conferences it is. Now to select which ones fit into a schedule I can handle this coming year. There are so many good ones to select from!